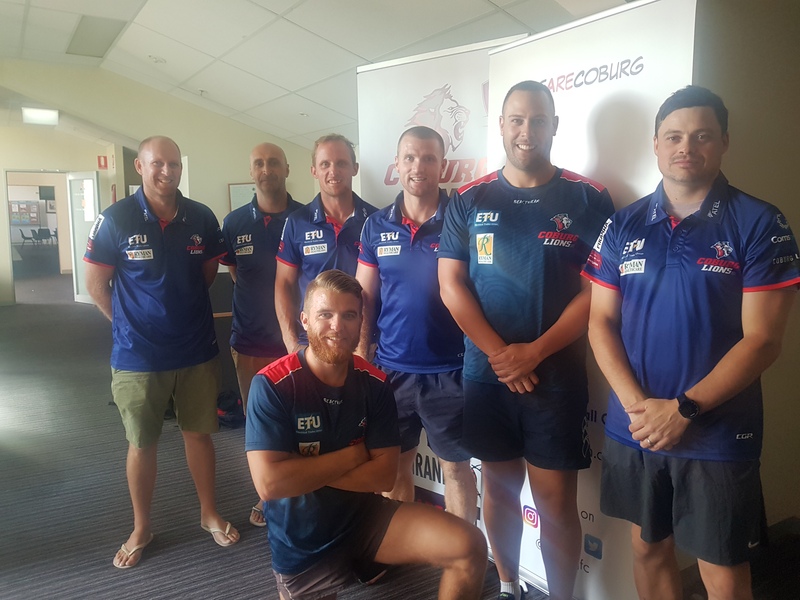 The Coburg Football Club are pleased to announce it has finalised its coaching group ahead of the 2019 VFL Season. With Leigh Adams returning as Senior Coach for his second season, he’ll be joined by three new assistant coaches in Brent Taylor, Steve Stroobants & Chad Owens, while Ben Osborne, Todd Beames & Fabian Monaco will return for another season. Osborne joined the club for the 2018 season from South Croydon where he was the Assistant Coach to Adams in the 2017 premiership. He will be once again responsible for the backs. Beames also returns for his second season as the clubs High Performance Manager, having arrived at Piranha Park from the Calder Cannons at the end of 2017 where he had held the same position. Monaco returns for his third season as the VFL Team Runner having joined in 2017. A Past Player of the club in the late 80’s & early 90’s Monaco also played his football with St.Olivers (now known as Northern Saints), North Melbourne Old Boys and most recently was involved with Ascot Vale Superules, where he also Coached the Over 35’s. As announced in December, Brent Taylor has joined the club as an Assistant Coach and will be in charge of the forwards. Taylor joins from the Calder Cannons where he was the Backline Coach of the Under 18’s, and previously was a junior coach with the EDFL’s Aberfeldie winning a Premiership at Under 17 level. Taylor previously played VFL Football with the Bendigo Bombers, having graduated from the TAC Cup with the Pioneers in the late 2000’s. As also announced in December, Steve Stroobants joins the club as a playing Development Coach, where he will be responsible for the clubs first & second year players. Stroobants returned to the VFL with North Melbourne in 2018 after spending the last three seasons with Rochester in the Goulburn Valley Football League and establishing himself as one of the competitions most prolific small forwards. He was the last club captain of the Bendigo Gold. Our newest and latest addition to the coaching group is Chad Owens. Originally a Victorian, Owens joins as an Assistant Coach where he will be responsible for the Midfield. Owens previously coached AFL Queensland club Palm Beach Currumbin, Coaching them to Premierships in 2017 & 2018. He previously was an Assistant Coach with Labrador during its time in the NEAFL. He also played his football with Wodonga Raiders, Broadbeach & Palm Beach Currumbin. GM Sebastian Spagnuolo was pleased to have finalised the Football Department ahead of the 2019 season. Join our Coaches as Lions next season, be sure to click here and sign up as a 2019 member today! Chad Owens joins the Lions as an Assistant Coach.